Admission criteria at the existing clinics has already begun to be narrowed, with the primary focus being on only severe cases; open fracture, severe bleeding, gunshots, etc. Even for these cases, the available beds at these hospitals are very limited. Consequently, trauma patients of all kinds and severity are daily at our gates. Victims from vehicle accidents, all too frequent in and around Port au Prince, are also being brought to our hospital in great numbers. 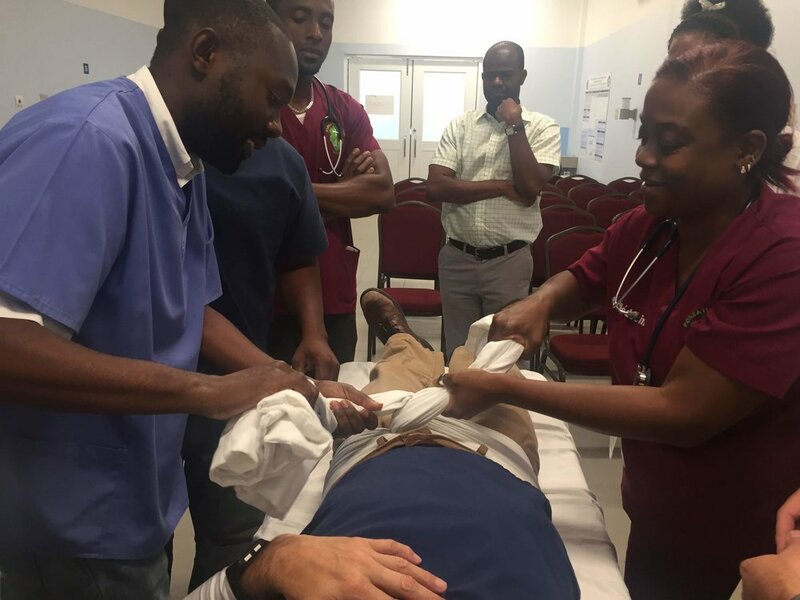 In accordance to our philanthropic philosophy, and our habitual immediate response in the face of humanitarian emergencies, St Luke Hospital has set up a center and programs enabling care for trauma patients. 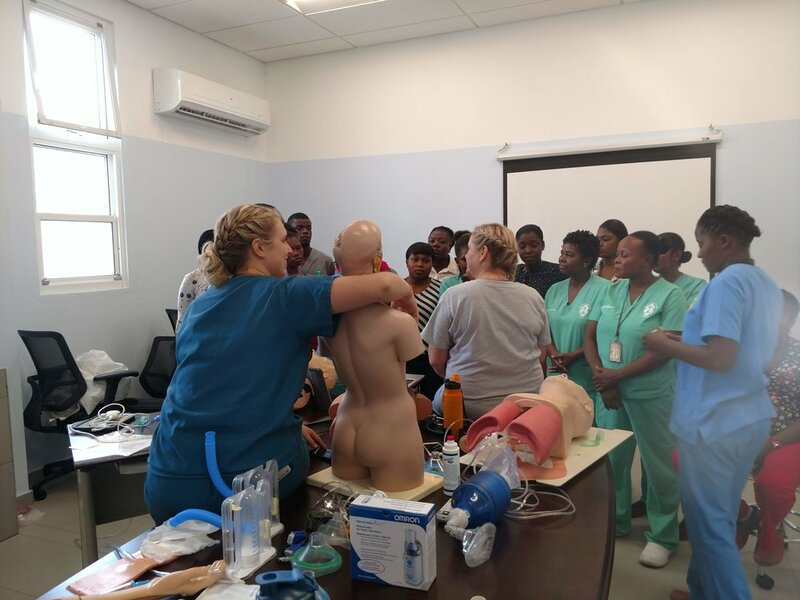 While St. Luke hospital will receive and care for the expanding number of trauma victims (both adults and children), St Damien’s Hospital (Nos Petits Freres et Soeurs) is also expanding its maternity capability to fill the gap left by the closing of the other facilities. To begin, we have already redesigned parts of St. Luke hospital, with 20 beds to welcome trauma patients. To date, we have cared for around 50 traumatic cases (and another 40 by referring these patients to private hospitals while accepting responsibility to pay the incurred medical expenses). 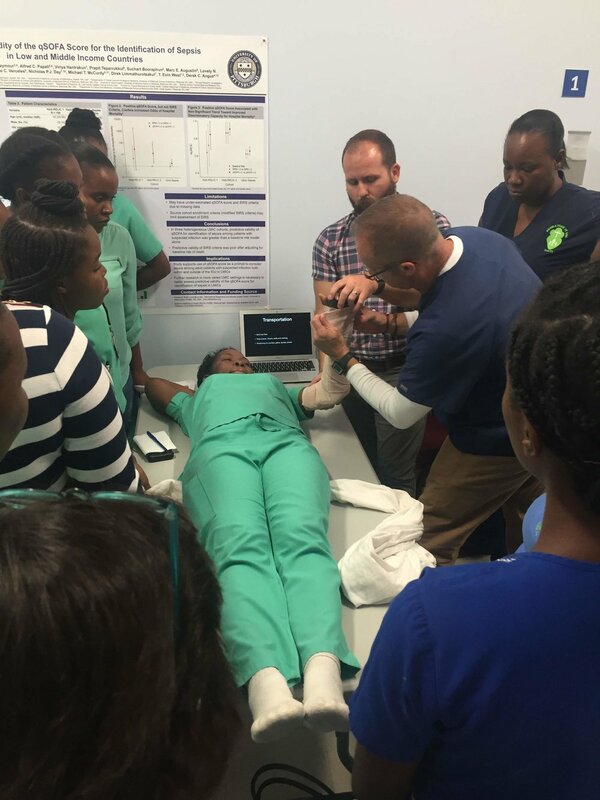 On August 28th 2018, a GSD Healthcare team from Mayo Clinic and South Bend Trauma provided three days of intensive training at St Luke Hospital, including ultrasound, fracture stabilization, and emergency techniques like chest tube insertions, and dressing of wounds. Our main focus at this stage is stabilization of the patients, so if we can’t resolve their issues we can at least transport them to a facility that can. Quite often, this will mean a private hospital, on our dime. 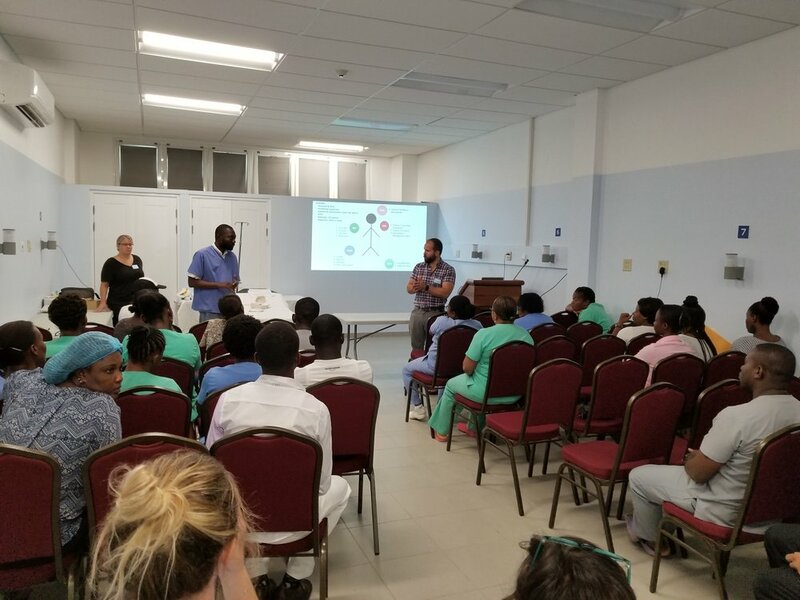 We are now searching for funds in the hope that we can quickly build up a fully equipped a 40 bed trauma center with a blood bank, running fully 24/7, with Continuous Medical Education for St Luke Hospital Staff, before June 30, 2019. 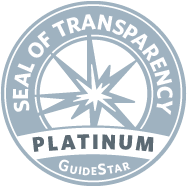 As always, we appreciate the support and help from our friends and partners! Donate NOW to support our trauma efforts!